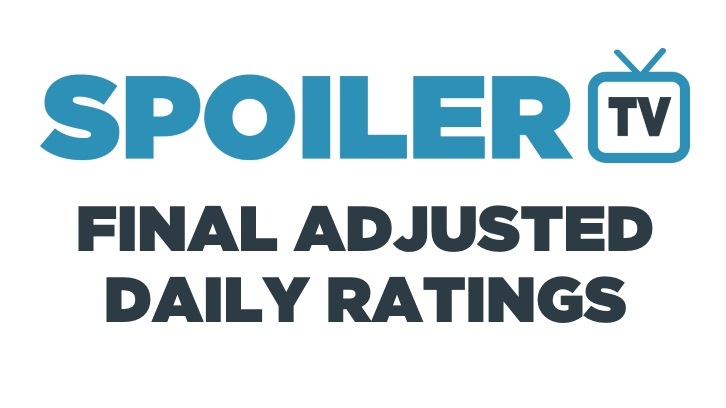 Remember you can view ALL Ratings and Charts for all shows/seasons in our Interactive TV Ratings Database. NOTE: The Interactive table below allows you to sort the various columns. The table will be updated live as the ratings come in. Refresh for updates. If you are new to ratings or still confused, we recommend you read this excellent Ratings FAQ.